KWAK Kyung-taek of Friend (2001) and The Classified File (2015) has begun production of a new film. 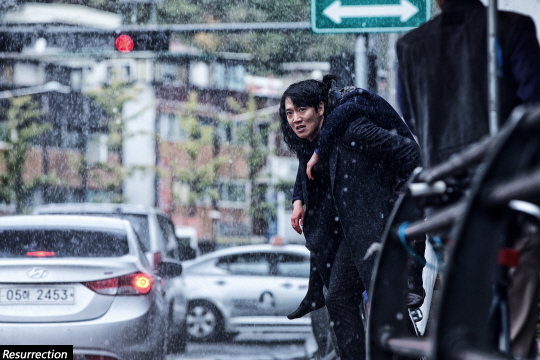 Resurrection (working title), a mystery thriller where CHOI Myung-sook, a woman who died 7 years ago, comes to life again, has completed casting and opened production on September 30th. Resurrection deals with a rather new notion of RV (resurrected victims), meaning those who have returned to life to reveal the truth of their undeserved death. This film tracks down the mystery of what happened 7 years prior, with CHOI who returned to life for revenge, and her son Jin-hong in the center of the narrative. For the main characters of the film, KIM Hae-sook, KIM Rae-won and SUNG Dong-il, JANG Young-nam and JEON Hye-jin are recruited. KIM Hae-sook is a distinguished actress whose filmography includes PARK Chan-wook’s Thirst (2009), CHOI Dong-hoon’s The Thieves (2012) and Assassination (2015). She plays CHOI Myung-sook’s character that is at the center of this whole mystery. She has also played in PARK’s new film The Handmaid (2015) which is scheduled to be released next year. For CHOI’s son Jin-hong who is also the prosecutor to track down the mystery of 7 years ago, KIM Rae-won of Gangnam Blues (2015) has been invited. In addition, JANG Young-nam of The Classified File, Ode to My Father (2014) and Azooma (2013) plays the role of CHOI’s daughter. SUNG Dong-il who is active both in TV and film, and JEON Hye-jin of The Throne (2015) and The Terror, LIVE (2013) have also joined the film. Resurrection is produced by New World production which also co-produced The Classified File. Barunson E&A Corp. co-produces the film, which is to be distributed by Showbox Inc.
KWAK has received the Best Director prize at the 24th edition of Buil Film Awards with The Classified File which attracted 2.86 million viewers this year. Resurrection will be his 13th feature film.